Death in the Caribbean was a adventure game for the Commodore 64 and Apple II released in 1983 by Micro Fun. More details and screenshots on Moby Games. This is the paper map that came with the game, scanned in four sections and (somewhat poorly) stitched back together. 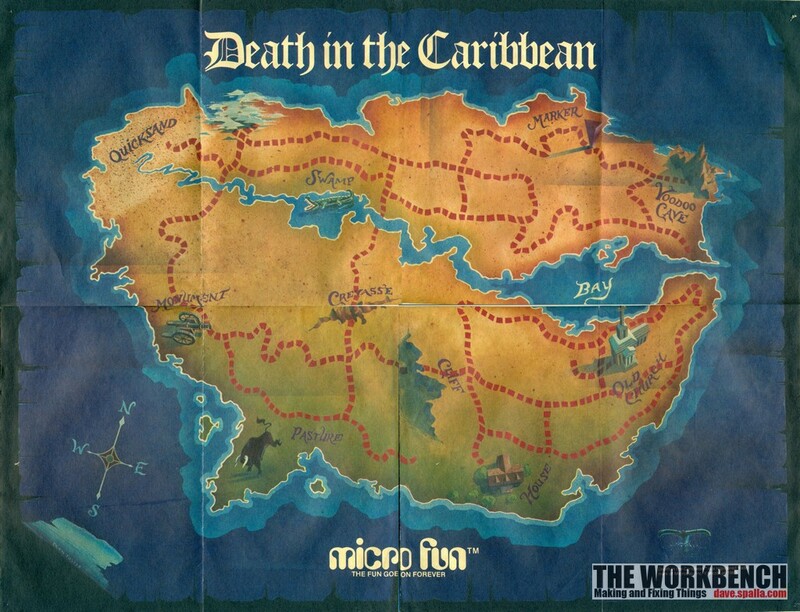 It was created to resemble old pirate map, the back has the look of parchment paper.